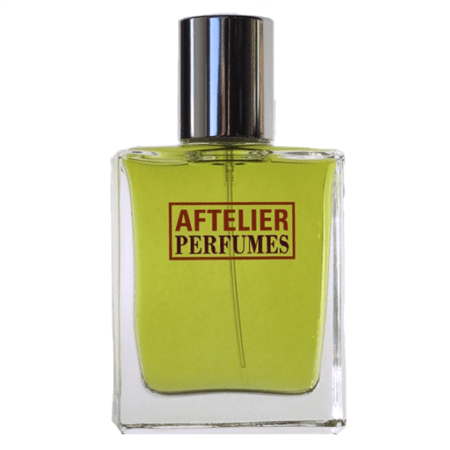 If you read EauMG, I’m sure you’ve heard me talk about Aftelier perfumes before. It’s a brand of indie, natural perfumes and flavors. Mandy Aftel, is also a teacher and author. I don’t think anyone else has influenced natural perfumery in the United States as much as Mandy. If this wasn’t enough, Aftelier opened the Aftelier Archive of Curious Scents in Berkeley, California. This is a little place where you can sniff a lot of raw materials (over 300, I think) to learn about fragrance and its history. Curious is a perfume that “recreates” the atmosphere of the naturals museum. Curious opens with something that is both smoky and cool. It’s like charred woods and spearmint. It has a lot at once, but it’s not overwhelming. When I sniff it again, it’s a juicy orange with leather. This is where I start to understand the inspiration. It’s like opening a door and releasing a mix of fragrances – amber bottles of essential oils, glass jars of herbs, sticks and resins. It smells not like these things, but like the air around these things, yes, the atmosphere. The orange lasts on my skin for a surprisingly long time for a citrus. It mixes with a a sweet smoke and “green notes”. The dry-down is like minty woods, cool air and musk. I’d say since there is so much going on, that this is one of those perfumes that is really going to offer more variety based on skin-chemistry, temperature, humidity, etc. On my skin, it’s more like an juicy, fruity orange musk with green, uncured tobacco in the background. To my surprise, it wears “green” and cool. I didn’t expect that from the note list, but I’m not complaining. It’s a pleasant surprise. Give Curious a try if you like woodsy scents or are looking for a full-bodied citrus. Or if you like other Aftelier perfumes (especially things like Vanilla Smoke). Or give it a try if you want to smell like a curious little museum in Berkeley! I’ve reviewed the EDP. It has below average projection and longevity, which is normal for a natural perfume. The 1 oz EDP retails for $185 at Aftelier. Samples are also available for purchase. Victoria’s Final EauPINION – Orange musk and woods. I really have a feeling mileage will vary with this one. It’s like a curation of essences! *Disclaimer – Sample provided by the brand. I am not financially compensated for my reviews. Product pic from the brand. 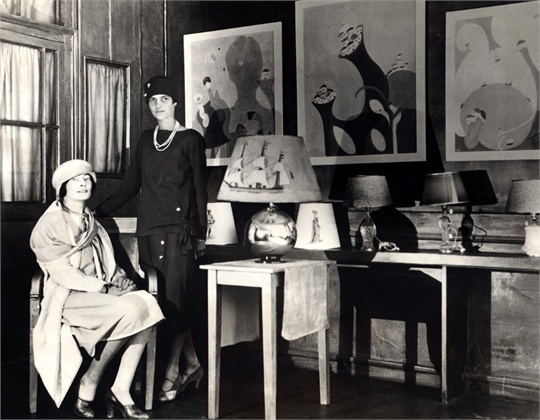 Peggy Guggenheim and Mina Loy Paris circa 1926 from Vogue Italia.